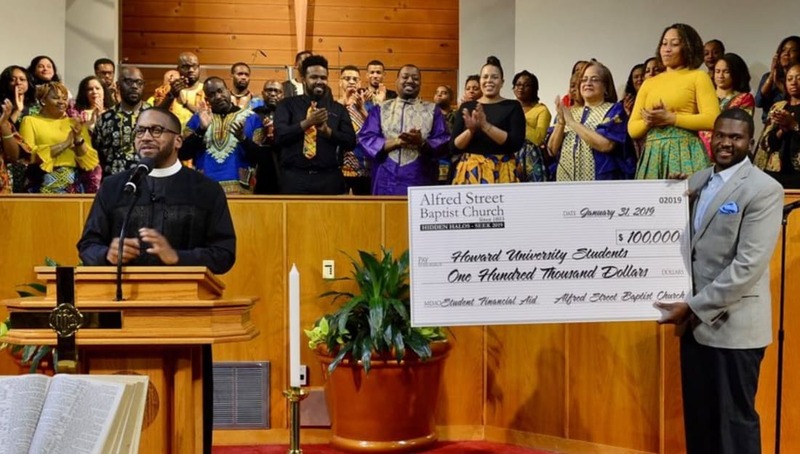 One of the oldest African American congregations in the nation, Alfred Street Baptist Church presented Howard University with a $100,000 gift to cover the outstanding tuition and fee balances of graduating seniors this week. Rev. Dr. Howard-John Wesley, pastor of Alfred Street Baptist Church, who also happens to be a member of Kappa Alpha Psi Fraternity, Inc., made the announcement during a special service at Andrew Rankin Memorial Chapel on Sunday, February 3. Alfred Street Baptist Church is one of the oldest black churches in the United States and dates back to 1803. It is located in Alexandria, Virginia within the city’s oldest African-American neighborhood, the Bottoms Alexandria, Virginia. ASBC is a long-time supporter of the HBCU community. The church holds one of the largest free HBCU festivals in the nation each year; which will be held on Saturday, February 23 at the Walter E. Washington Convention Center. 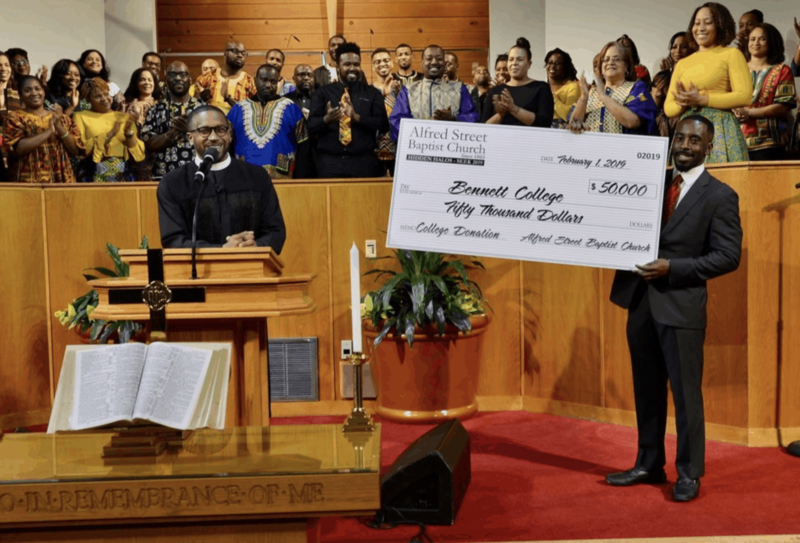 They also make a contribution of $25,000 to a designated HBCU every year during their annual HBCU Sunday worship services. “If 4,000 committed souls can believe, there is no stopping the Churches from saving our Communities & the Futures of our Children,” the church tweeted.